home is where they send us...: MOBILES - MORE MODERN ART! 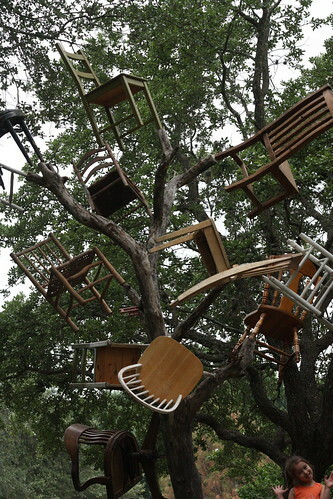 MOBILES - MORE MODERN ART! The kids just made MOBILES. While they were making them we discussed Alexander Calder, the American artist and sculptor, who created them! Calder really enjoyed seeing how mobiles balanced...and oddly enough his stationary sculptures were known as stabiles! Next - the kids were ITCHING to start the mobile! The materials used were pipe cleaners, buttons, foam stickers, yarn (for hanging) and even a small piece of plastic to keep the pipe cleaners spread out. All of our materials came from our Kiwi Crate. Again, I love our subscription to Kiwi Crate because the projects are right organized with all the materials. 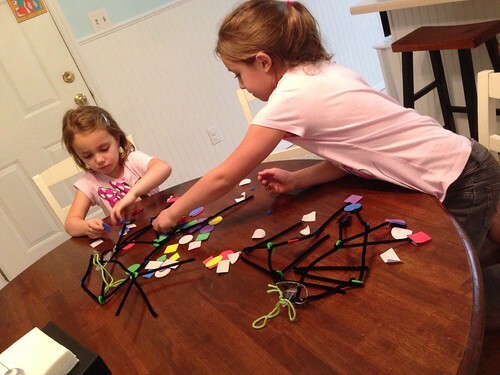 You don't need the Kiwi Crate to do the project though if you have the materials on hand. And, now that my kids have done the project they will do the project over and over again with our own materials. 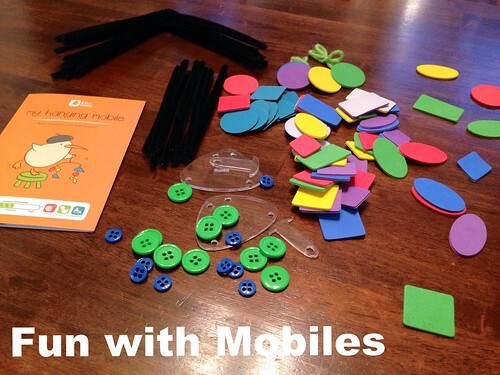 The "how to" of mobile making is to start with as many different buttons, stickers and pipe cleaners. 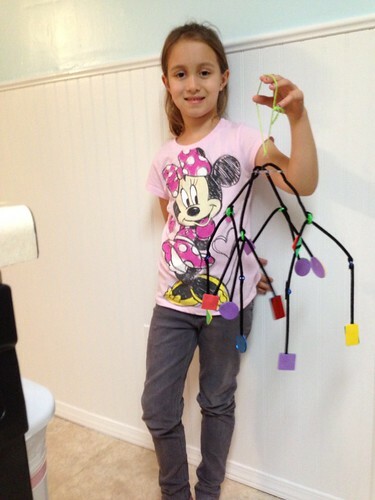 Link the pipe cleaners together (through the buttons) and use stickers or other objects on the ends. At the top, use a piece of yarn to hang them. 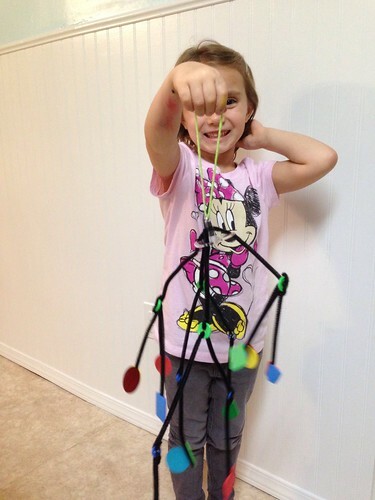 Our mobiles were a big hit. They are hanging in the girls room and our family room!